Our valley is tucked high in the West Elk Mountains of Colorado, right on the border between the central mountains and the southwestern ones. There is no doubt that Gunnison-Crested Butte is harder to get to than quite a few places in Colorado, maybe even most places in Colorado. But the trip is worth it. Nothing beats the drive up Highway 135 with towering mountains in either direction and a wide valley floor filled with snow or wildflowers depending on the season, except for maybe the drive over Kebler Pass in summer or fall. If you’re coming from farther away, flying to the Gunnison Airport is the way to go. The Gunnison-Crested Butte Regional Airport, located in Gunnison, is the closest airport to Crested Butte. It serves the communities in the Gunnison Valley with air service on United during the summer and off-seasons and United and American during the winter. It’s the easiest way to fly to Crested Butte. We have non-stop flights to Crested Butte and Gunnison from two cities on United Airlines for summer 2018. Denver service via United Airlines runs daily through the spring, summer, and fall with twice daily flights during the height of summer. Non-stop flights from Houston on United Airlines begin June 6, 2019 and fly through August 19, 2019. Denver is the 5th busiest airport in the United States and services flights from all over the country. The drive from the Front Range through the heart of the Rockies to Crested Butte is a fantastic tour of some of the most scenic places in Colorado. 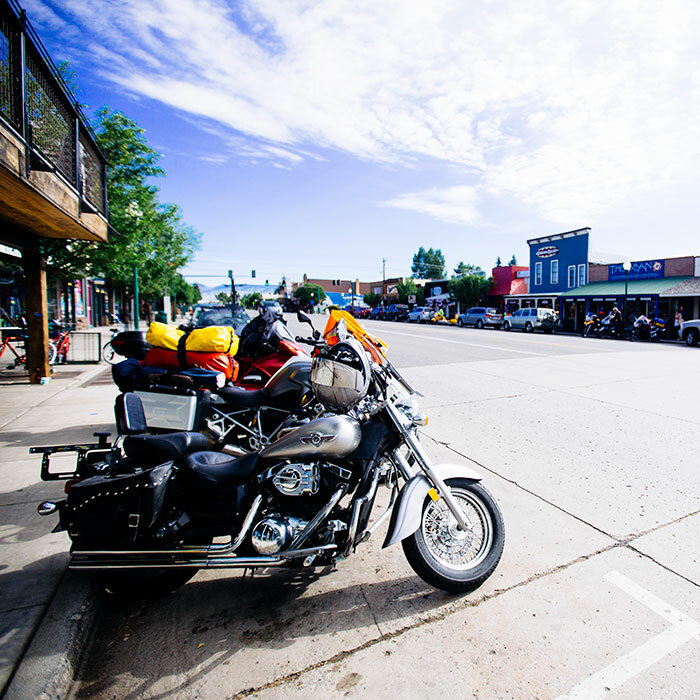 Montrose is the second closest airport to the Gunnison Valley and Crested Butte. It services flights from Allegiant, American, United, and Delta from both coasts. One of the best things about flying into Montrose is that you pass the Black Canyon of the Gunnison National Park and the Blue Mesa Reservoir on the way to Gunnison and Crested Butte. Flying into Colorado Springs can shorten your drive at a similar ticket price if you’re considering flying into the Front Range of Colorado. Along the way there’s plenty to see and do with the highlight being the Royal Gorge of the Arkansas outside Canon City. Grand Junction Regional Airport is another option for reaching the Gunnison Valley. During the winter the drive is very similar to the drive from Montrose. The difference is that you add an hour of driving on US 50 East to reach Montrose. During the summer and fall the mileage of the drive to Crested Butte can be cut shorter by using the well-maintained gravel shortcut over Kebler Pass. This drive passes between two Wilderness Areas and cuts through the largest aspen grove in Colorado, a special treat during September. After 1 mile turn left onto CO-141 South/32 Rd. Cottonwood Pass will be closed for the Summer 2018 season while crews pave the Gunnison County side of the road.